A small, lone valley has meanwhile hollowed out, rounded and not very deep, crowned with shaggy grass and thick bushes, several of which go tumbling down to a brook so narrow it chokes on the sudden rush of water rolling headlong like a white and brown panic of goats on a steep path. xxxxOtherwise the only contours are the sky’s bulging black clouds and the snowy ones behind, lakes stretching between them with a sword’s blue gleam, and in the far distance an ocean of polar turquoise veering towards an idea of colour. xxxxsuch as a road with no wayside slopes or ditches to channel the light that blazes, sheers off, converges in full-sailed convoys on the ploughed fields, or scatters in a dazzling horse-coach gallop past villages, sometimes colliding with a wall that has leapt out. xxxxBut in all this excitability the churches never waver, though each seems to respond to an old modulation of the heart – or is it the other way round? xxxxIn any case, these surges of love and humility gather and rise with the arching of naves anchored deep in the soil, and refuse to be lost in lyrical fireworks or niceties. xxxxthick and square, often with a very wide-angled roof quashing any drift towards vainglory, they stand to a point just high enough to release a strong, patient swell of faith, lifting from the plain as naturally as the beeches and poplars whose brightening screens are crisscrossed by the flitting neumes of a score for crows and magpies. xxxxThen all the plain rises tremulous as a hymn just beginning, and the still dense woods fan out then throng together again like choirs. xxxxExalted by November’s ardent intensity, they don’t hum in a minor key to mark the season’s disaster, but flare up with the vernal force of a certainty rooted in light as firmly – on this flat earth that offers itself and sets out on its way – as the sober jubilation of these bell-towers. Of those who vanished and haven’t been found. Each of whose swellings and convulsions is so pathetic. And sometimes glad to just crawl on the ground, it’s sad to say. Who loll about in the bags at such reanimation. And pity them their every unexpiated misdeed. Above the tent of Agamemnon, a black flag waving. Women would have wanted to wear the same dress and your name. Of the evening prefiguring the blaze and the blood. Jacques Réda was born in Lunéville in 1929. 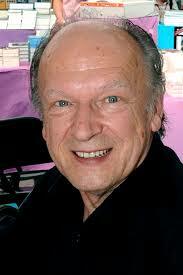 From 1987 to 1996 he was editor of La Nouvelle Revue française and is a reader for the publishing house of Gallimard. 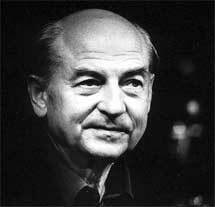 One of France’s greatest living poets, he has published numerous collections of poetry since Amen, his debut in 1968. Since 1963, he has also been a regular contributor Jazz Magazine and written several books about Jazz such L’Improviste (1980). the sky’s milk and sparrows are grooming the wind. So much to do and everything goes and unravels. embracing the blue, embracing the blue. Guy Goffette was born in Belgium in 1947. He published his first book of poems in 1969. Since then he has worked as an editor at the publishing company Gallimard and has been referred to by Yves Bonnefoy as an heir to Verlaine, of whom Goffette has written a fictionalised ‘biography’. when, in the foam, it was all possibility. and setting herself apart down there. or grieve for her loneliness? is the gleam of light in her lenses. his first experience of girls. the sliding, her skirt round her thighs. Paul de Roux, was born in Nîmes in 1937. He is a poet, translator, and encyclopaedist who has worked for several French publishing houses. He founded the literary journal, La Traverse. 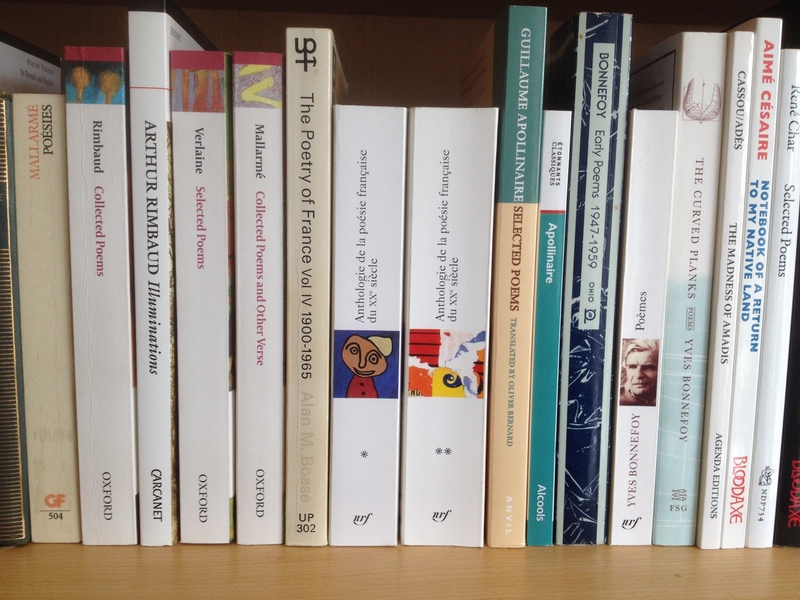 In 1969 and, since 1980, has published numerous volumes of poetry, a novel, and several monographs on French painters. He has also translated Keats’s Hyperion into French. lit up now and then by brilliant sunshine. a few windfalls rotting, a tangled vine. through which, death-haunted, I am forced to wade. growth requires, when Time is the enemy? of purpose, as signs of life slip away. seemed each evening a cavern of basalt. tints of twilight reflected in my eyes. as I gazed on barely clad retainers. over the pale inmates of cemeteries. Cataracts of Death splash on foggy suburbs. and can’t stop twitching his mangy body. log spits in time to a wheezing clock. make snide remarks about their old affairs. Charles Baudelaire was born in Paris in 1821. In 1845, he published his first work but gained notoriety and enduring fame for his 1857 volume of poems, Les Fleurs du mal. Following a court case, Baudelaire, his publisher and the book’s printer were censured for offending public morality, and, consequently, suppressed six of the poems. Baudelaire died in Paris in 1867.
white galaxies of stars like snow on me. 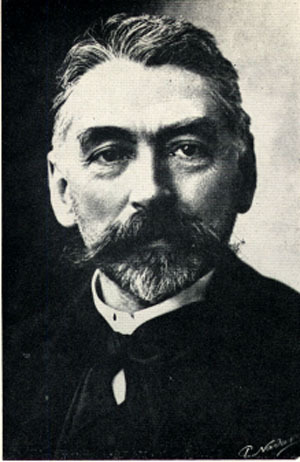 Stéphane Mallarmé was born on 18 March 1842 in Paris. Having spent a year in London in order to gain a certificate entitling him to teach English, he returned to France in November 1863, at which point he became a reluctant and not very good teacher, until he managed to obtain early retirement on health grounds in 1893. By then his reputation as France’s greatest living poet was firmly established. He died unexpectedly at his country retreat at Valvins on 9 September 1898. Louis Aragon (1897 – 1982) was born and died in Paris. He was one of the leading voices of the surrealist movement in France, who co-founded with André Breton and Philippe Soupault the surrealist review Littérature. The water can tailor this body no more. And the weave of a hanky is spotted with blood. Dictating the cross-country path that it takes. But joy has invaded her senses and spirit. Ghosts filling her bed on a nuptial visit. Adieu, Sabina, Rosamund, Hippolytê: adieu. The twilight moves you on, has other places planned for you. No mistake, no return, for the prodigal child. Prey offered to giants and dwarves to be kissed. Is marked by the jet of a snowy-white column. It’s too much for high heaven. Thick night divides us: they are mis-employed. Dissolves us too, and fuddles us with noise. Double, mere phantom! in its rainy mirror. Phantom, you’re just a fool we can deride. The living have you at their beck and call. You’ll be dissolved by dark and noise and wind. 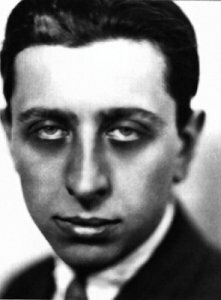 Robert Desnos was born in Paris on 4 July 1900 and published his first poems in 1917 in La Tribune des Jeunes and in the Dadaist magazine Littérature. He became an adherent of the Surrealist group and by the early 1930s he was also friends with Picasso, Hemingway, Artaud and John Dos Passos. An active member of the French Résistance, he was arrested by the Gestapo in 1944. Deported first to Auschwitz, he ended up in the concentration camp of Terezín, where he died from typhoid, only weeks after the camp’s liberation. earthwards a file of turtle doves. Philippe Jaccottet was born in Moudon, Switzerland in 1925. After completing his studies in Lausanne, he lived several years in Paris. In 1953, he moved to the town of Grignan in Provence. A distinguished poet, he is also has translated numerous authors and poets into French, including Goethe, Hölderlin, Rilke, Mandelstam, Leopardi, Ungaretti.and Homer. In 2014, he became the fifteenth living author to be published in the prestigious Bibliothèque de la Pléiade and only the fourth Swiss author to be so honoured. it is good isn’t it? Gilles Cyr was born in Quebec in 1940. He gained his master’s degree at the University of Montreal and then spent two years in Paris. Subsequently, he became director of collection at Editions de l’Hexagone (Montreal), where he notably published Fruits et Frontières in 2006. He has been actively involved in editing various literary journals, and translating South Korean and Persian poetry. In 1992, he won the prestigious Governor General’s Award for his poetry. Jennie Feldman has published two poetry collections, The Lost Notebook (2005) and Swift (2012), and has translated work by Jacques Réda: Treading Lightly: Selected Poems 1961–1975 (2005), and his autobiographical work, The Mirabelle Pickers (Aller aux mirabelles) (2012). She is co-editor and translator, with Stephen Romer, of Into the Deep Street: Seven Modern French Poets, 1938–2008 (2009), which was awarded a special commendation by the judges of the Popescu Poetry Translation Prize. Andrew Shields was born in in 1964 in Detroit, Michigan, and thereafter raised in Michigan, Ohio, California, and England. He attended Stanford University and the University of Pennsylvania (where he finished his PhD in Comparative Literature in 1995). He now lives in Basel, Switzerland. His collection, Thomas Hardy Listens to Louis Armstrong, was published by Eyewear in 2015. Ian House taught in England, the United States, Moscow, Budapest and Prague and wrote nothing. On retirement the floodgates opened. He has published two collections with Two Rivers Press: Cutting the Quick (2005) and Nothing’s Lost (2014). He lives in Reading because it’s close to Oxford and London. Harry Guest’s last collection was Some Times from Anvil in 2010. In 2012 Impress produced his translation of Torsten Schulz’s novel Boxhagener Platz (which has been successfully filmed) called A Square in East Berlin. His long poem Philadelphiana is expected (from Guernsey!) soon, all being well. Jonathan Steffen read English literature at King’s College, Cambridge and taught translation and interpreting at Heidelberg University during the 1990s, working simultaneously as a freelance translator and interpreter. He has published literary and scholarly translations from the French and German. Jonathan also writes poetry, essays, short stories and songs. For further information, please visit www.jonathansteffen.com. Timothy Adès is a rhyming translator-poet who works from various languages. 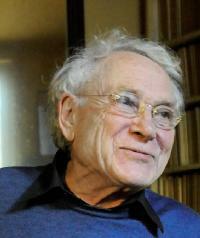 From from French he has published award-winning selections of the poetry of Victor Hugo, Jean Cassou and Robert Desnos. From Spanish, he has translated Alberto Arvelo and received an award for his translations of Alfonso Reyes. A substantial collection of the poetry of Robert Desnos will be forthcoming. Ian Brinton’s recent publications include translations from the French of Yves Bonnefoy and Francis Ponge. As a literary critic he has edited three books of the poetry and prose of Andrew Crozier and two books about the Cambridge poet J.H. Prynne, A Manner of Utterance and For the Future. He edited a book of essays on the poetry of Peter Hughes and wrote Contemporary Poetry since 1990. He is on the committee setting up the new archive of Contemporary Poetry at Cambridge University Library. Patrick Williamson is an English poet who also works with music and filmpoems. He is the editor and translator of The Parley Tree, Poets from French-speaking Africa and the Arab World (Arc Publications, 2012). His most recent poetry collections are: Beneficato (English-Italian, Samuele Editore, 2015), Tiens ta langue/Hold your tongue(Harmattan, Paris 2014), Gifted (Corrupt Press, 2014), and Nel Santuario (Samuele Editore, 2013), which was highly commended by the judges of the XV Concorso Guido Gozzano, 2014.